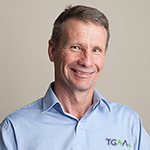 Trevor Gardner and Associates (TGAA) was established in 2000 to provide software, instrumentation and control support for end users of industrial automation technology. Over the years we have assisted many companies to navigate the complexities of modern day automation. Many of our existing clients have been with us from the start and are a testament to our high level of expertise, dedication and range of solutions. The job is finished when the customer is satisfied. The job is never finished unless the paper work is done. Trevor Gardner has over 30 years of experience in the industrial automation industry. Beginning as an instrument fitter in an era when instrumentation was largely pneumatic Trevor has experienced many changes in automation technology. The increased popularity of electronic instrumentation prompted him to complete an Associate Diploma in Industrial Instrumentation to compliment his trade qualifications. Further development in the automation world, with the widespread application of personal computers, saw Trevor completed a Computer Science degree. This unique skill set allows him to analyze problems from the control valve to database and all stops in between. If you would like to talk over your automation requirements or you are just not sure where to start with that next project, please give Trevor a call.